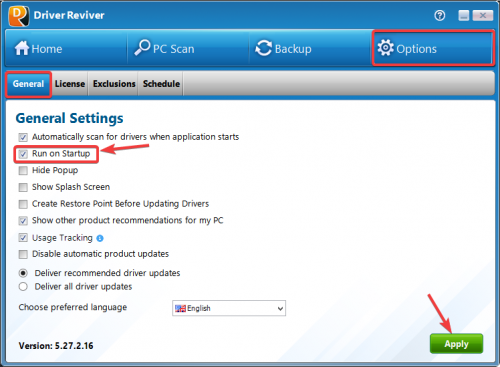 如何防止司机Reviver运行每次我启动我的电脑？How do I prevent Driver Reviver from running every time I start my computer? 如何创建一个系统中更新驱动程序之前的还原点？How do I create a system restore point before drivers are updated? 我如何收到所有可用的驱动程序更新？How do I receive all available driver updates? 我可以排除被下载并安装了驱动程序更新？Can I exclude a driver update from being downloaded and installed? 如何创建一个日程安排运行的驱动程序Reviver？How do I create a Schedule to run Driver Reviver?